-- The critically ill daughter of the governor of California has been kidnapped. LAPD Detective Maddie Divine is assigned to find her before it’s too late. But this high-profile case comes with secrets on every side: cops, politicians, even the innocent. Maddie Divine: Her marriage hangs by a thread, her SWAT-officer husband has lost it, and almost as bad, she can’t trust her detective partner. Travis Divine: After the death of a SWAT teammate, he’s a shell of the man he used to be. He’s lost touch with his work, his wife and occasionally even reality. Can he regain the warrior mentality needed to support Maddie and do his job? Preston Truesdale: The California governor’s daughter has gone missing, and so has her only bone marrow donor. Is it coincidence or something more sinister? Pilar Luna: The mayor of Los Angeles is a media favorite, and she plays Preston like a Vegas pro would play a Midwestern farmboy… all in hopes of reaching the White House. Will she hit the jackpot? Tiffany Truesdale: The brainiac teenager evaded her security team to spend a night on the town with her girlfriends, but can she outwit the man who kidnapped her before time runs out? Author's Note: This book contains commonly used street language. 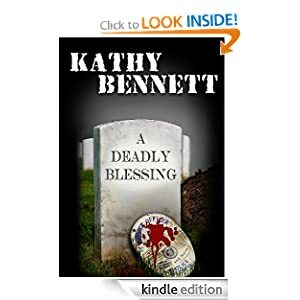 A Deadly Blessing or to sample this book for FREE! -- Germany, 1660: When a dying boy is pulled from the river with a mark crudely tattooed on his shoulder, hangman Jakob Kuisl is called upon to investigate whether witchcraft is at play. 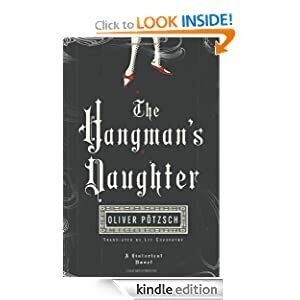 So begins The Hangman's Daughter -- the chillingly detailed, fast-paced historical thriller from German television screenwriter, Oliver Pötzsch -- a descendent of the Kuisls, a famous Bavarian executioner clan. The Hangman's Daughter or to sample this book for FREE! -- 1660: Winter has settled thick over a sleepy village in the Bavarian Alps, ensuring every farmer and servant is indoors on the night a parish priest discovers he's been poisoned. As numbness creeps up his body, he summons the last of his strength to scratch a cryptic sign in the frost. 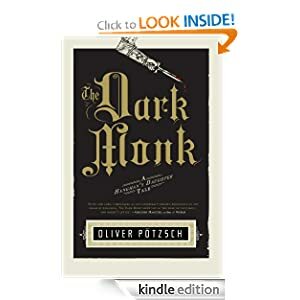 The Dark Monk or to sample this book for FREE! -- Grade 4–6 — Emily Windsnap is finally enjoying a swimmingly peaceful life on Allpoints Island, hanging out with her mermaid bff, Shona, and her new friend Aaron (half-merperson like herself). 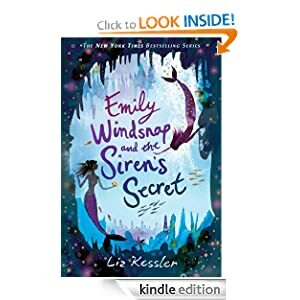 But their idyll is cut short when Emily learns that the Windsnaps and friends must return to their old home in Brightport, where construction projects are threatening a secret mermaid community under the sea. Neptune’s mandate? No less than an interspecies intervention to bring merpeople and humans together, a task the imperious god feels the mixed Windsnap family is well suited for. There are just a few snags for Emily, however, like dealing with old nemeses Mandy and Mr. Beeson, figuring out her feelings toward Aaron—and untangling a high-suspense mystery related to a group of legendary lost sirens. Everyone’s favorite half-mermaid is back with a splash in a sparkling new adventure her fans will be eager to get their fins on. Fated or to sample this book for FREE! NOTE - Before purchasing Kindle Books, make sure that it is in fact still on sale. Though on sale at time of posting, prices may change at any time. Be sure to verify the “Kindle Price”, before purchasing. If you do happen to buy a book that you thought was on sale , you can return the book within 7 days for a full refund.